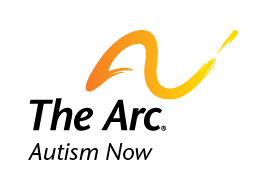 The Autism NOW Center on Facebook: Here, we post updates on our latest resources, events and other information. It’s a great place for fans of our page to share their thoughts about the center and post any information they want to share. The Autism NOW Center on Twitter: Here, we share much of the same information as we do on Facebook, but also use Twitter as our primary tool for live updates at any events we hold and/or attend. The Autism NOW Center on YouTube: We haven’t posted any videos to our YouTube Channel yet, but we will be rolling out video content shortly. The Autism NOW Center on Flickr: Here, we share photos from past events. The Autism NOW Center on Scribd: Here, we post the PowerPoint Slides from our Webinar presenters. We hope you fan us and/or follow us on your favorite social media platform. It’s the easiest way to stay in touch with us and get the latest news and information on what we’re doing at the center. Date posted: November 7, 2011. Content created by The Autism NOW Center. Last updated: March 21, 2018.